Take the Lead Team captains from Howe School of Excellence, located in the city’s Austin Community, took the morning off from soccer to focus on giving back to their very own neighborhood. 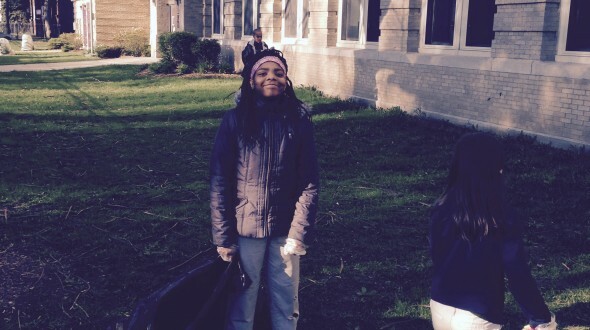 As part of their upcoming We Day celebration team captains served their community by spending their practice time doing a little spring-cleaning around their school. Through out the winter month’s trash always seems to find a resting place in bushes, around fences and on playground equipment. 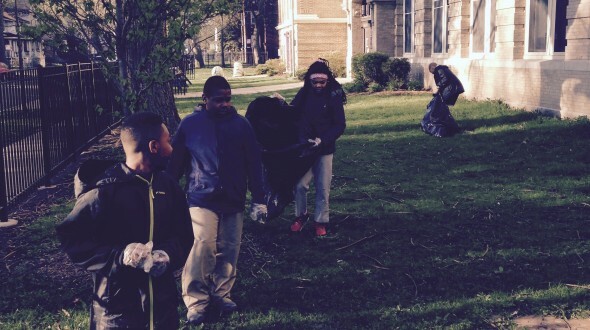 During recent Captain’s Huddles kids at Howe decided that discarding this trash that had accumulated over the past few months would be the best way to serve their school community. Team Captains arrived bright and early to begin their community service project. Quickly the trash collecting turned into a competition with pairs of captains competing to see who could fill their bags the quickest! The captains got a rush of energy from Howe’s Principal Ms. Mendez who cheered them on she walked into school. 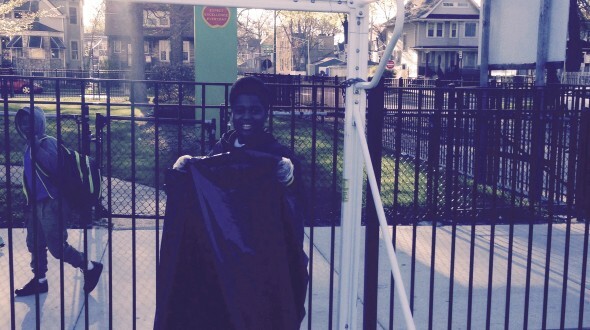 8th grade captain, D’Angelo Hartley even suggested that they help clean up the outside of the school once a month! 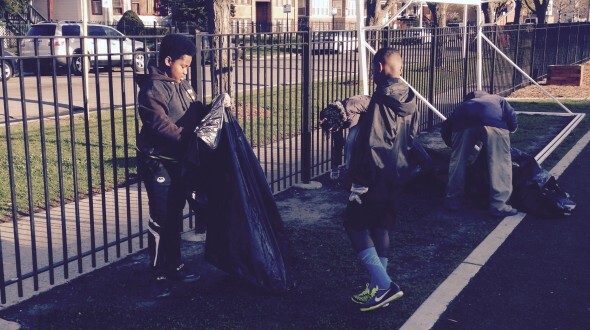 Safe to say every inch inside the fences, playgrounds and turf field at Howe is garbage free today because of the TTL captain’s initiative in their service-learning project.